You frequently see articles that complain about Millennials ruining everything, but in one aspect, there is definitely truth to the stigma; Millennials are ruining paid time off, and it’s time to take a good hard look at how we can fix it. A recent study by Project Time Off showed that 96% of Americans say that using their PTO is important to them, but 54% of those folks aren’t taking all of their paid vacation days, averaging out to about 662 million unused days each year. And with many offices going by a “use it or lose it” policy, American employees forfeit $66 BILLION in lost benefits annually. While this disastrous Millennial trend might currently be true, the reasons behind it are far from easy to understand. Maybe you feel as if your vacation days are a privilege rather than part of your benefits, or maybe you feel as if you will fall behind on your work if you’re out of the office, but here’s a news flash for you: None of these reasons hold up when faced with the facts! According to the Project Time Off studies, work martyrs aren’t doing themselves any favors. Statistically, they are less likely to get raises or bonuses, are lower performers in the long run due to burnout, and they often end up carrying their stress home with them, impacting their overall happiness. So what’s the first step in stopping the trend? Planning out an itinerary for your future travels makes it more likely that you’ll actually use those paid vacation days. And if you’re hesitating to spend multiple days away from the office, start with a single day. Crush a Friday in Virginia using our three-day itineraries to different hot spots and you can fit a full carefree getaway with plenty of adventure into only 72 hours. This month, our team headed to Virginia’s gorgeous Eastern Shore, known for its oysters, outdoor activities, and pristine landscapes. 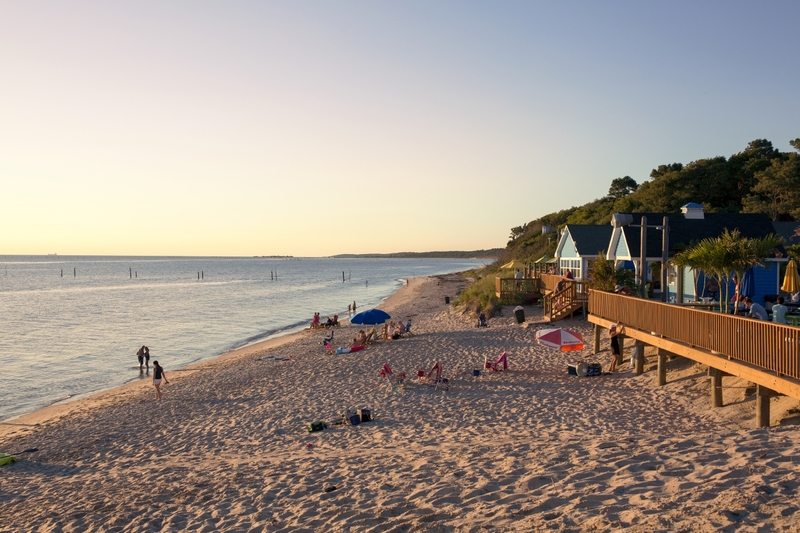 Bordered by the Chesapeake Bay on the western side and the Atlantic Ocean to the east, the 70-mile peninsula is ideal for those travelers that embrace coastal living without the crowds. 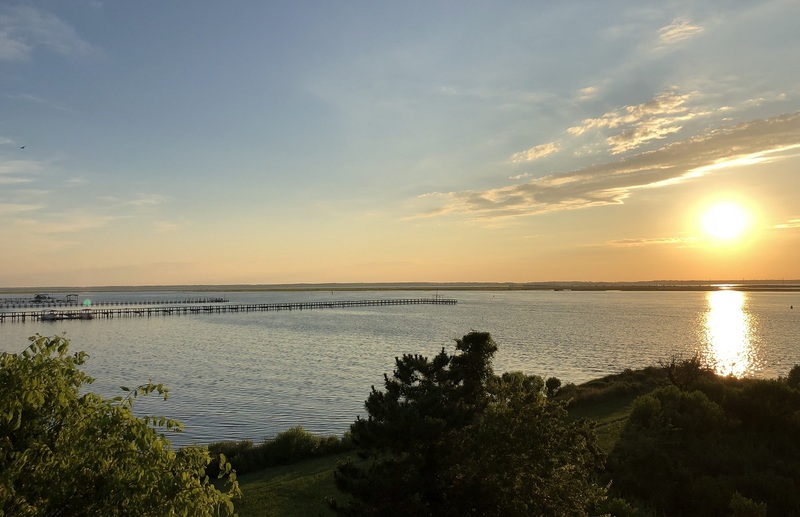 Stay at: Sunset Beach Resort Hotel in Cape Charles, starting at $99 per night in the off season and $149 per night during peak season, and Waterside Inn in Chincoteague, starting at $90 per night in the off season and $165 per night during peak season. 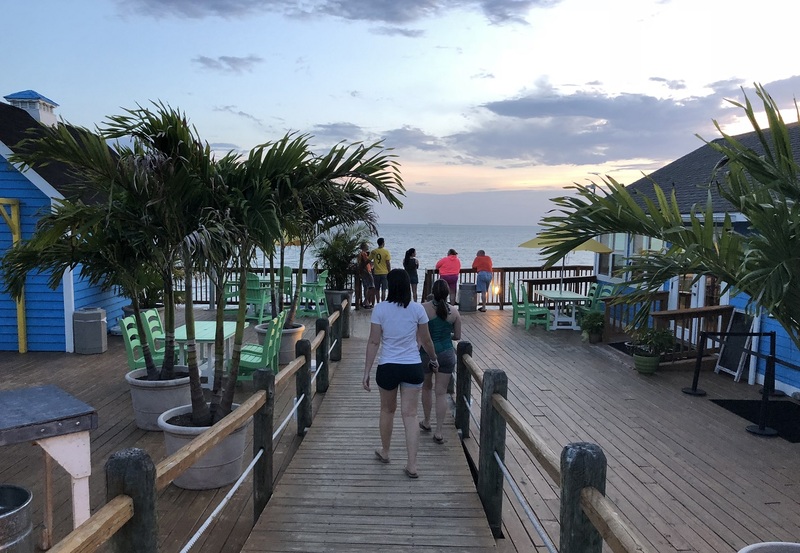 Just across the Chesapeake Bay Bridge-Tunnel, Sunset Beach Resort Hotel in Cape Charles has several different types of accommodations, including hotel rooms, camping and RV sites, and cottages with multiple bedrooms if you’re traveling with friends. The pet-friendly resort has an on-site restaurant, Jackspot Bar & Grill, and after grabbing food or cocktails, you can walk right out onto a private beach to catch a spectacular sunset over the Bay. Rent water sport gear from the resort and cast off from the beach, or take a dip in one of the two pools located on the resort grounds. Stop by the store in the hotel lobby to pick up small beach items like sunscreen or kits to make s’mores around the campsite fire pits. After traveling up to Chincoteague Island, consider booking a stay at Waterside Inn. The hotel is only a few blocks from the heart of the downtown area and your stay includes a free breakfast each morning served in the lobby. 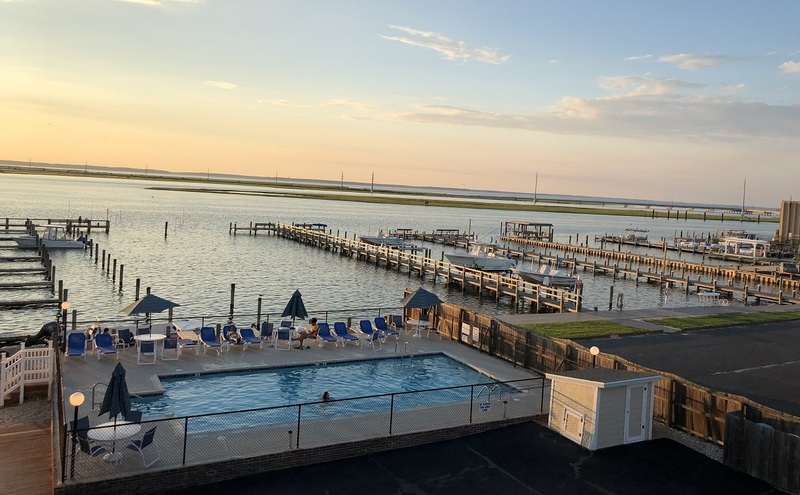 Take a dip in the outdoor pool or cook out along the pier as you take in the famous Eastern Shore sunsets over the water. 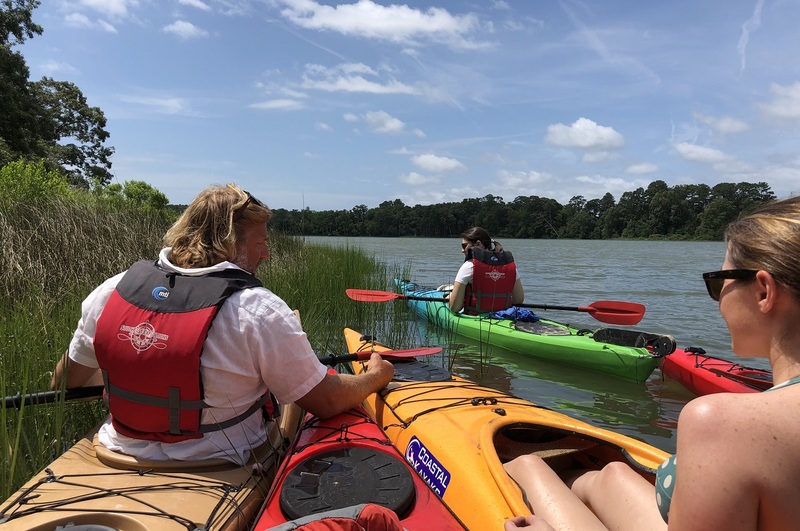 Start your Eastern Shore getaway north of Cape Charles with the Paddle Your Glass off Tour, a guided kayak tour led by SouthEast Expeditions to Chatham Vineyards. Embark from the banks of Nassawadox Creek, an inlet off the Chesapeake Bay, and paddle out towards Church Creek as your guide fills you in on the surrounding landscape. You’ll learn about the unique ecosystem and wildlife, the history of the waterway, and its current role in the livelihoods of local watermen. After about a 45 minute paddle, your waterfront tour ends on the shores of Chatham Vineyards, where you’ll stroll across the shady estate grounds towards the tasting room. 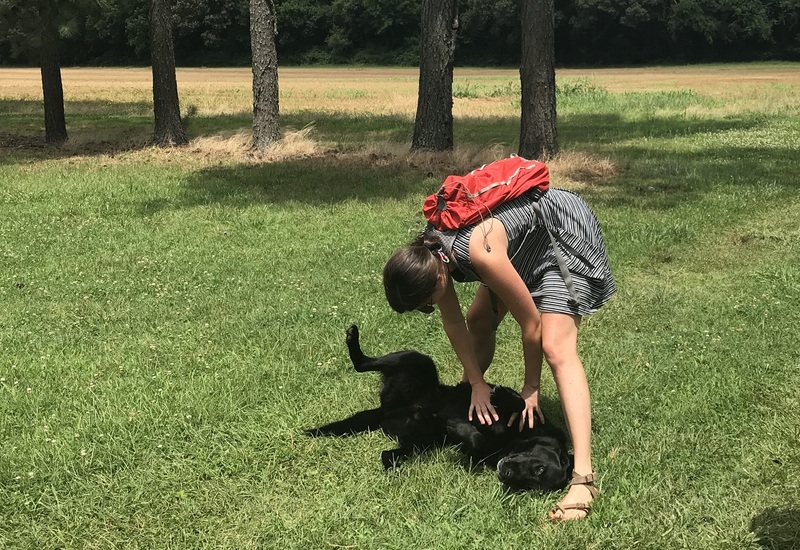 Built in 1818, the federal-style home of Chatham adds to the picturesque backdrop of the winery, and if you’re lucky, you’ll receive a very warm, and possibly slobbery, welcome to the property by Otis and Tucker, two friendly Labradors that call Chatham home. Continue to the winery tasting room, where a knowledgeable staff will pour a flight of their current offerings, which included both steel and oak cask Chardonnays, Rosé, Merlot, Cabernet Franc, and a Vintner’s Blend during our visit. While you’ve probably been to countless wineries, the wines of Chatham are distinct due to the soil found on the Eastern Shore. Oyster and clam shells have mixed into the soil over hundreds of years, creating an uncommon terroir that lends to the flavorful minerality of the wines. Linger at the tasting room over a glass of your favorite wine, then paddle back across the creek and hop into the car towards the downtown area of Cape Charles for lunch at Deadrise Pies. Serving up wood-fired pizzas made to order, the restaurant sources locally whenever possible, making all doughs and sauces with only the best quality, organic ingredients by hand each day. If you’ve brought your appetite, start with either the Fried Mozzarella or the House Meatballs. With too many tempting specialty pizzas on the menu, we opted to order several and split among our group, choosing the DR Margherita, made with a garlic crust and topped with fresh mozzarella, shaved pecorino, basil, cracked pepper, and oil, as well as the Gondola, a pie covered in fresh garlic, oregano, salami, prosciutto, pecorino, and basil. Everything in downtown Cape Charles is fairly walkable, so leave the car parked and head towards the waterfront along Mason Avenue, which serves as the main stretch of shops in the town. 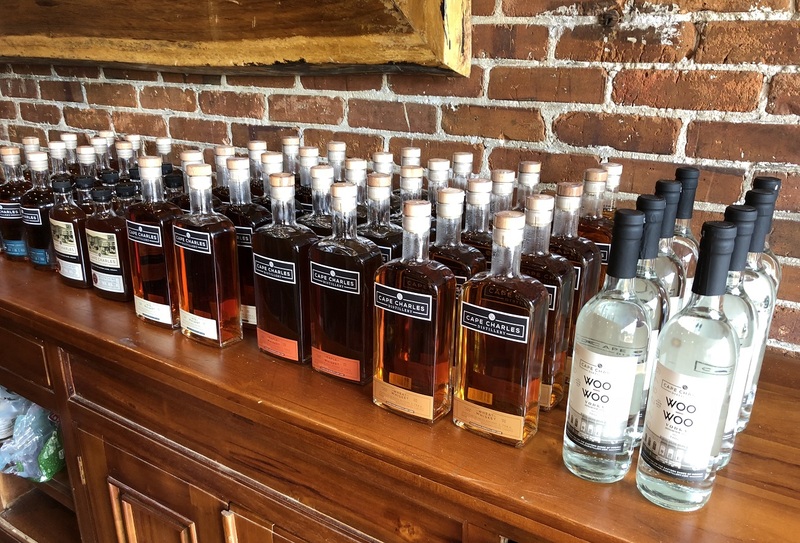 Your first destination after lunch is Cape Charles Distillery, the first (and currently only) distillery on Virginia’s Eastern Shore. Sample their whiskeys, bourbon, moonshines, and vodka in a tasting flight or choose a few for a specialty cocktail flight, made using seasonal fruits, herbs, and other ingredients from local farms. Our top picks were the maple whiskey and the apple pie moonshine. 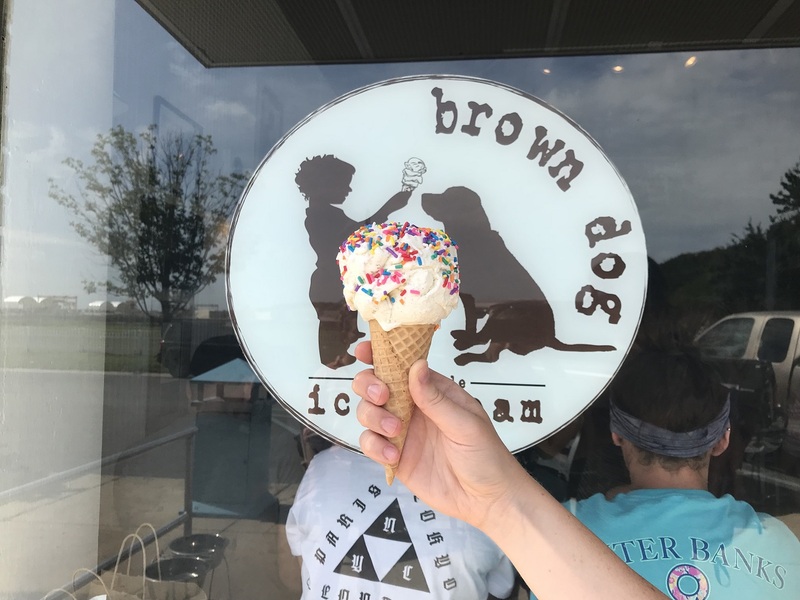 Walk back to Mason Avenue and continue to Brown Dog Ice Cream for a refreshing sweet treat. With flavors like blueberry, banana cream, and malt milk balls, you’ll probably opt for more than one scoop of this creamy ice cream. A helpful tip: Be sure to grab a handful of napkins before leaving Brown Dog, as they definitely don’t skimp on the scoop size and on hot summer days you’ll get some serious drips in a matter of minutes. Just a block down from Brown Dog, Buskey Cider on the Bay is another can’t-miss spot in downtown Cape Charles. 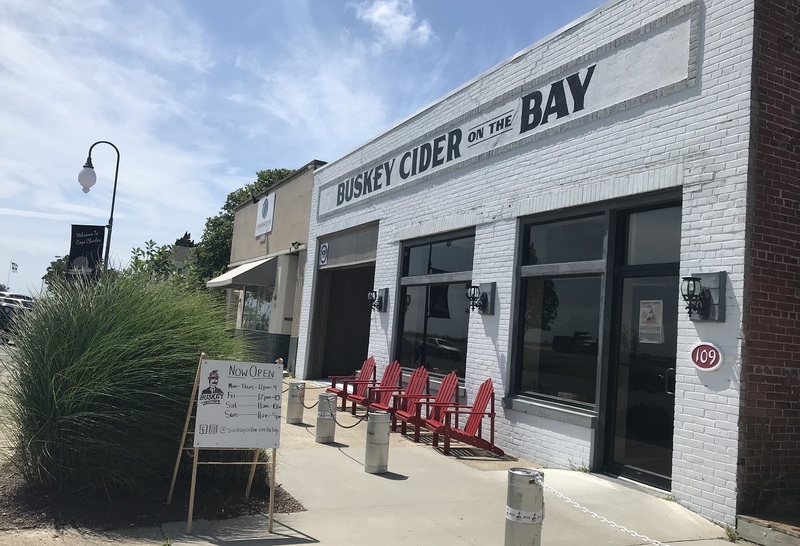 While the flagship location is in Richmond, Buskey Cider opened the second tasting room in Cape Charles as a passion project; after the owner and his wife vacationed in Cape Charles, they fell in love with the quaint coastal town and quickly decided that it was the perfect place to expand the Buskey brand. Order a flight of ciders inside the tasting room before grabbing a seat on the patio outside and sipping your way through original flavors like Watermelon Rosemary, Jalapeno Lime, and My Pear Lady, made with local Asian pears and single varietal Pink Lady apples. Wander back to the car for a short trip over to The Shanty for dinner. A local seafood spot right on the water, the eatery has incredible views of the Chesapeake Bay and serves up some of the freshest oysters, crabs, and fish around. 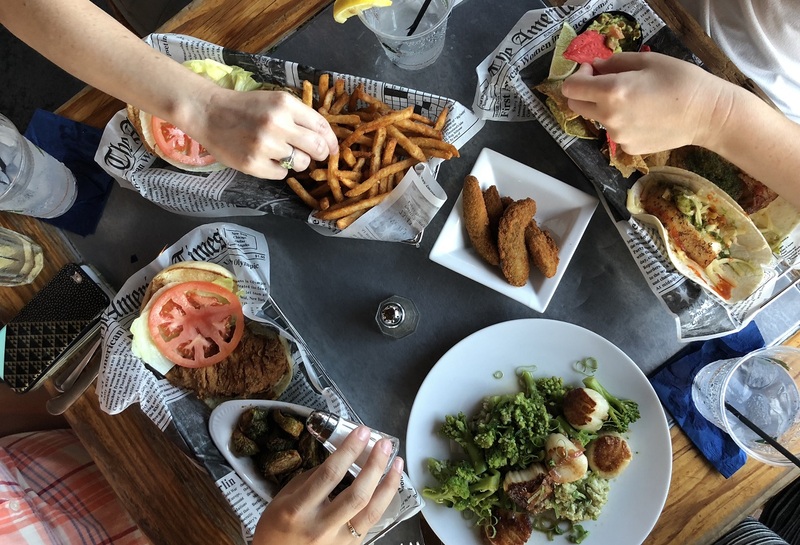 We recommend the crab cakes or the blackened fish tacos, and pair with a cocktail from their extensive list, which features an array of margaritas, crushes, martinis, and island-inspired drinks. After dinner, head to Sunset Beach Resort Hotel to check into your room before catching the sunset from the hotel’s private beach, located in front of Jackspot Bar & Grill. If you’re still not ready to call it a night, grab a few cocktails from the Jackspot to sip during the memorable waterfront sunset. 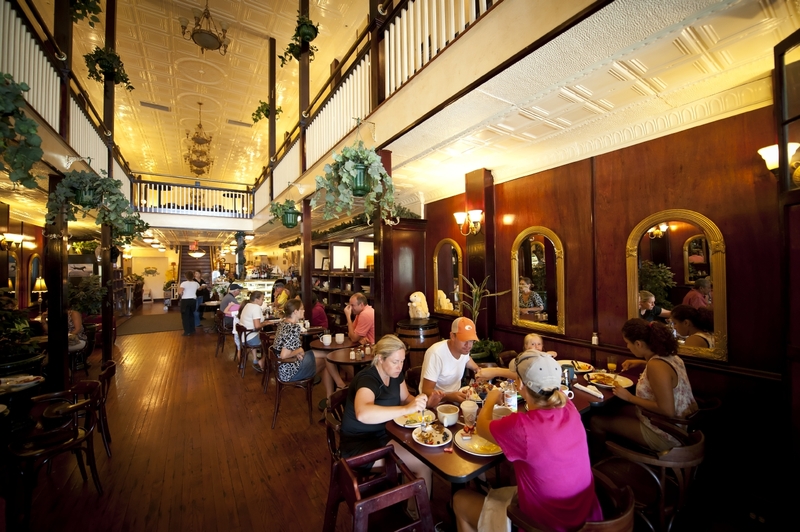 Have a leisurely breakfast on Saturday morning at Cape Charles Coffee House. Housed in an early 20th building that was originally constructed as a bank, the restaurant has retained a lot of the historic charm, with much of the original woodwork throughout and an open second story dining area that overlooks the bistro below. Order one of the specialty coffee drinks for a caffeinated start to your meal, and if you’re feeling hungry, consider trying the French toast or Belgian waffles, both generous portioned plates with sides of fresh fruit. For a healthier alternative, the fresh fruit and yogurt parfait is the way to go. Spend the next few hours browsing through a few of the shops in the downtown area, from cute clothing boutiques to shops that sell eclectic beach knick-knacks. 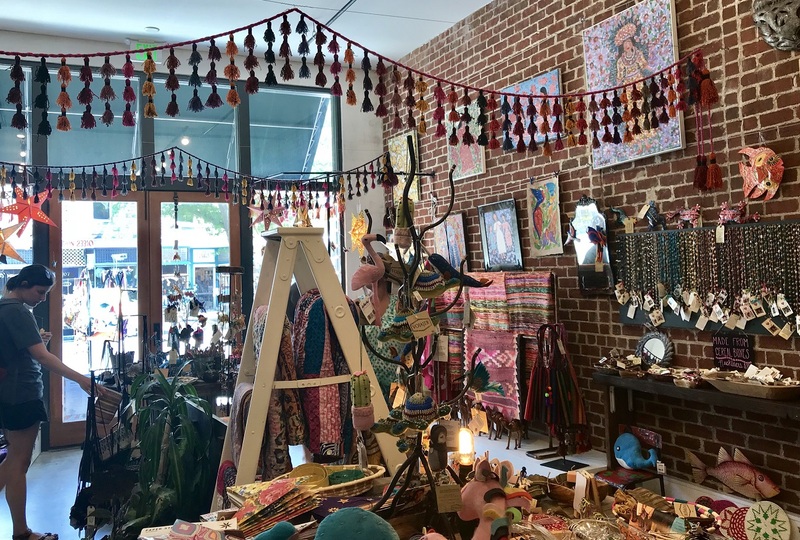 A few favorites include Voiajer, a fair trade gift shop with colorful home décor and clothing ethically sourced from all over the world, and Moonrise Jewelry, a locally based jewelry company that uses Eastern Shore inspiration to craft colorful jewelry. They are known for their signature “fish leather”, which have been cured, dyed, and gilded to create stunning one-of-a-kind pieces, including earrings, bracelets, necklaces, and even handmade bowties and cuff links for men, all at affordable prices. 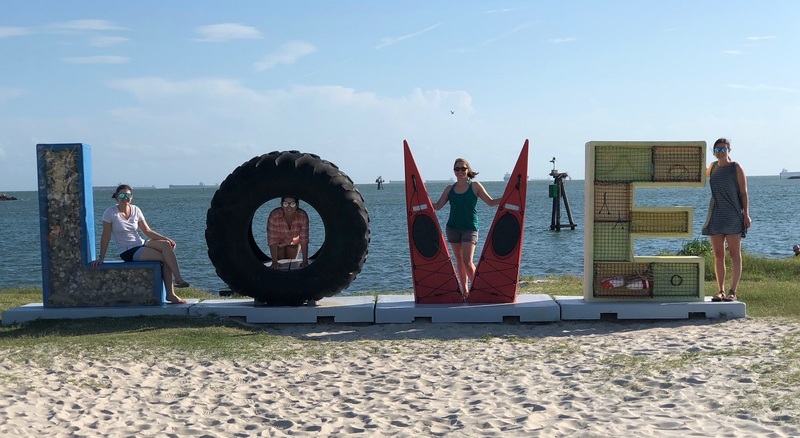 Before departing downtown, stop by Cape Charles’ beachfront LOVEwork at the end of Mason Avenue for a quick picture. 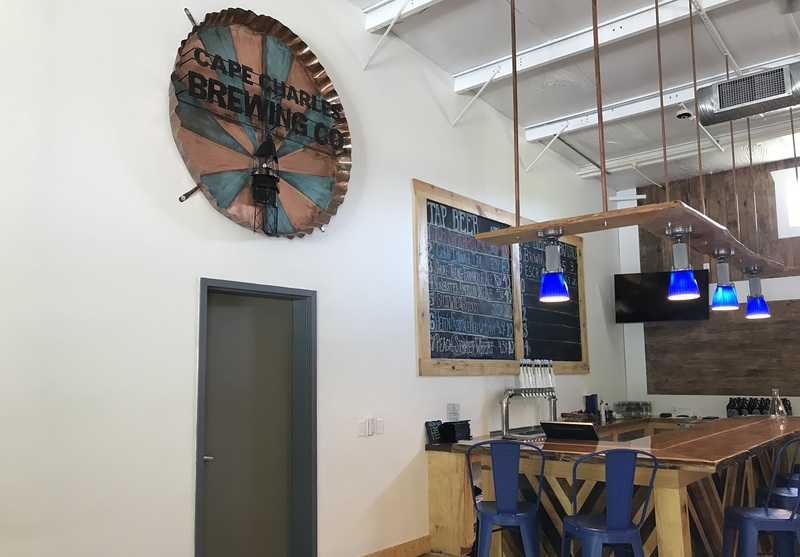 Located on the outskirts of the downtown area, Cape Charles Brewing Company currently has about ten beers on draft, but are working towards having a steady rotation of about 15-18 craft beers at any given time. The beer list spans a wide range of brews, from a double IPA to a coffee-infused brown ale, and you can sample the different styles in a flight tasting. 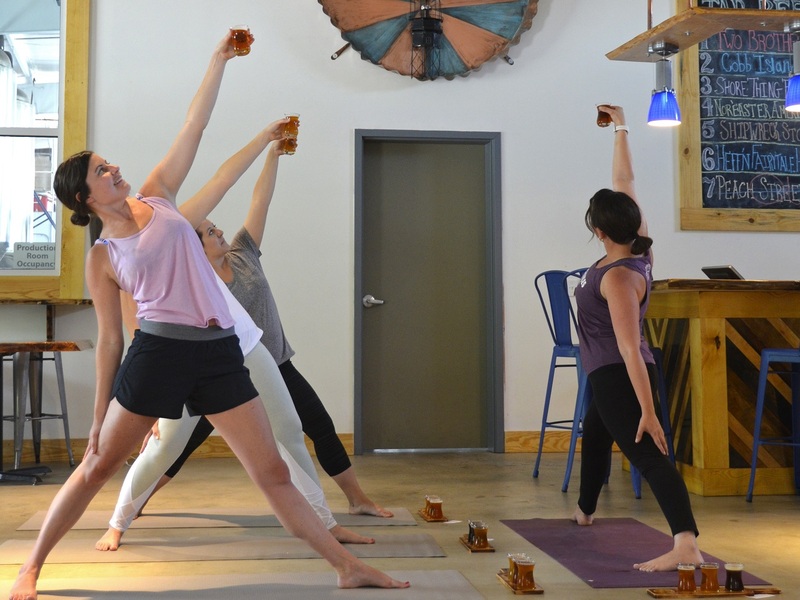 Before visiting the brewery, check to see if they are hosting a yoga class courtesy of Breathe Easy and Smile Yoga, a traveling yoga teacher that often holds popup classes throughout Cape Charles. Yoga is always a fantastic way to de-stress, and attending a class during your Crush Friday escape will help you return on Monday morning feeling much more Zen about your workplace. 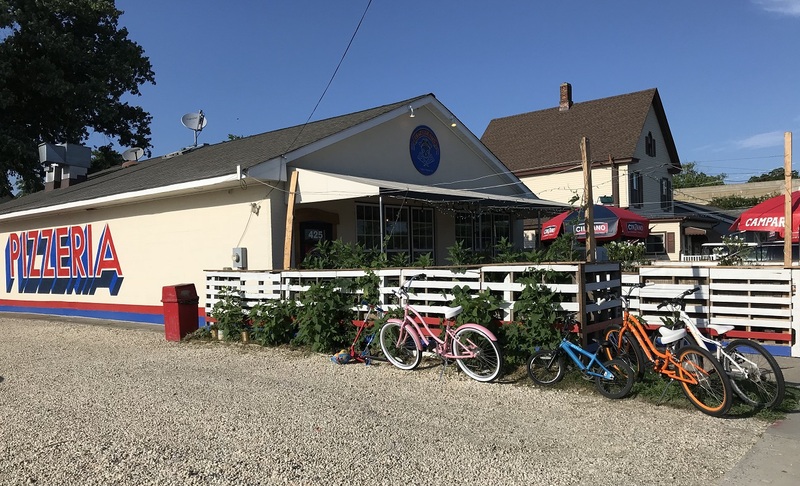 In addition to beer and occasional yoga classes, Cape Charles Brewing Company also offers a small but tasty food menu, sourcing most of the ingredients from local farmers, including seasonal produce and local seafood. 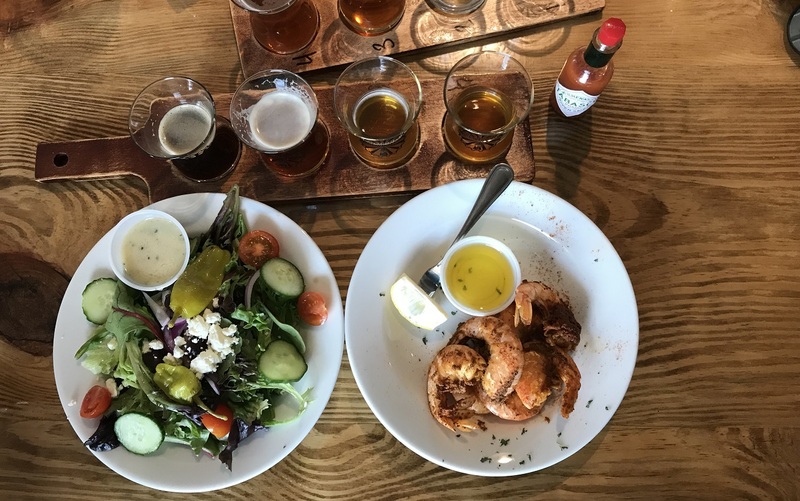 Grab a bite to eat at the brewery before hitting the road for your next stop on the Eastern Shore: Onancock, a small but charming town about 45 minutes north of Cape Charles. Travel down Onancock’s Market Street, lined with antique shops, art galleries, and small shops, to arrive at the Onancock Wharf Harbor. Set up a tour ahead of time with Onancock Sailing Adventures to get a customized tour of the waters bordering Onancock. Owner and Captain Tom Bunino will share stories of the area, covering history, local legends, and the complex ecosystem of the Bay. With scheduled times available throughout the day, the tours are a leisurely way to experience the scenery of Onancock Creek, and tickets are only $45 per person. If you don’t feel like sharing your sailing adventure with anyone else, private lessons are available for $75 or group lessons can be arranged for $60 per person. Return to land and direct your GPS towards Chincoteague Island, or more specifically, Black Narrows Brewing Company. The first brewery on Virginia’s Eastern Shore, this family-run brewery prides itself on supporting its tight-knit community, donating 5% of all beer sales to a new local cause each month. An additional 5% is donated to a single global cause chosen annually. And while we love to pretend that it was solely the donations, the brewery’s unusual offerings probably played a pretty big part in us ordering a second round. 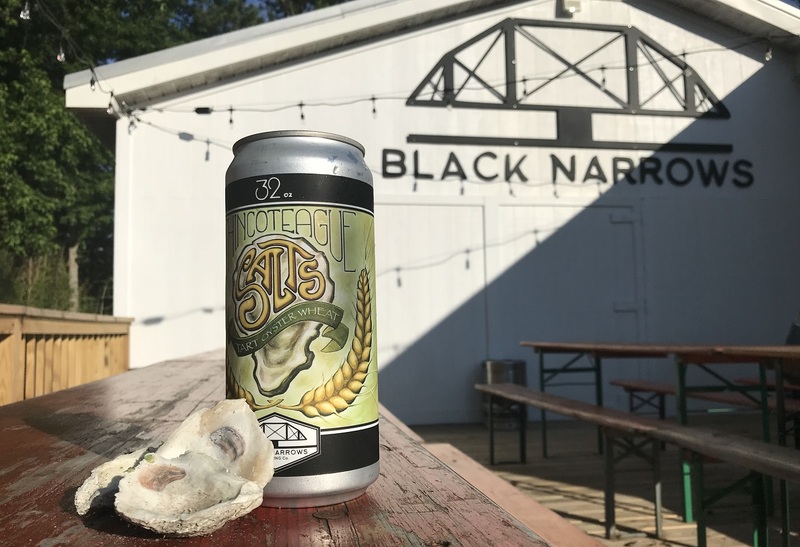 Every beer utilizes local ingredients, resulting in some of the most unique brews we’ve come across, like the Salts Tart Oyster Wheat, which has a briny finish that pairs well with oysters, or the How Bout It Heirloom Corn Lager, made with heirloom corn that has been grown on Virginia’s Eastern Shore since the 1870’s. Check in to Waterside Inn and get cleaned up before dinner. 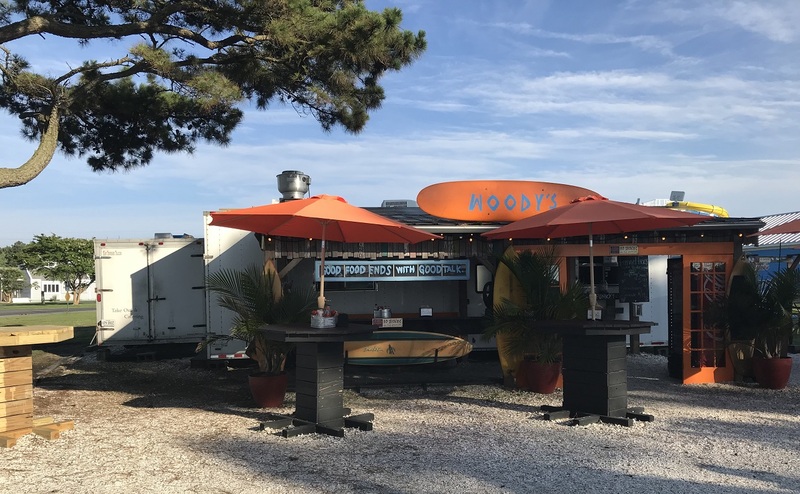 Chincoteague has a vibrant community of food trucks serving a wide variety of cuisines, and we chose one such popular food truck for our evening meal. Woody’s Beach BBQ is an outdoor, beach-themed shack serving pulled pork, baby back ribs, and other smoked meats with homemade sides and desserts. We favored the creative pulled pork sandwiches, such as the Big Hot Woody, topped with sliced jalapenos, Sriracha chili sauce, and their “Almost Famous” red sauce. 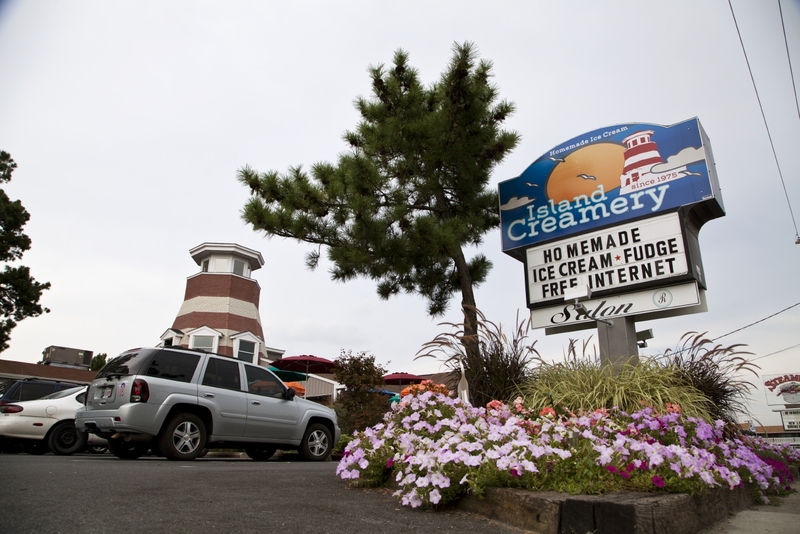 While the desserts at Woody’s looked appetizing, we saved room and traveled just down the street to Island Creamery, an iconic Chincoteague staple that was voted Best Ice Cream in America by TripAdvisor in 2014. Lines can get a bit long, but the staff at Island Creamery work quickly to get everyone’s order, and although the line was out the door when we arrived, we all had freshly baked waffle cones in hand within ten minutes. 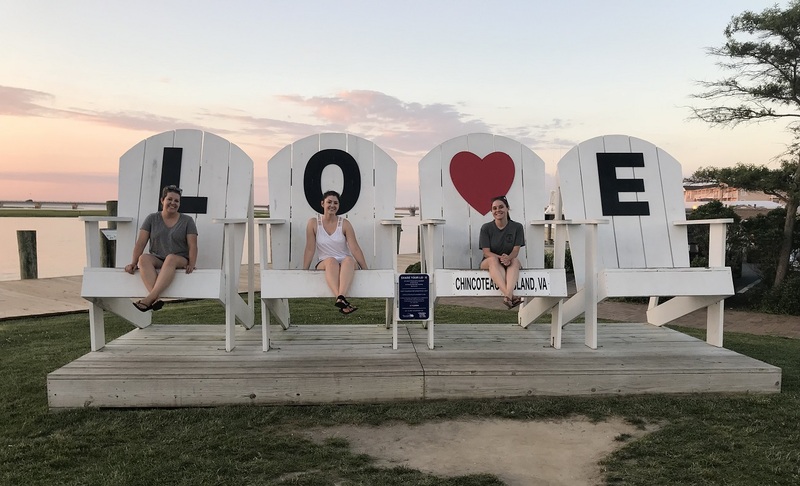 Before ending the day at Waterside Inn, catch a memorable sunset from Chincoteague’s LOVEwork, made from oversized Adirondack chairs that you can sit in for pictures. Start your Sunday with breakfast at Bill’s Seafood & Steaks in town. The restaurant is well known for their impressive upscale dinner cuisine, but the restaurant maintains the same level of quality in their breakfast fare. The menu mixes healthy options like homemade granola and egg white omelets with heartier dishes like corned beef hash and The Sportsman, a plate of three hotcakes with two eggs, home fries, and either bacon or sausage. After breakfast, drive to the Chincoteague National Wildlife Refuge, a 14,000-acre reserve made up of pristine beaches, dunes, marshland, and maritime forests. 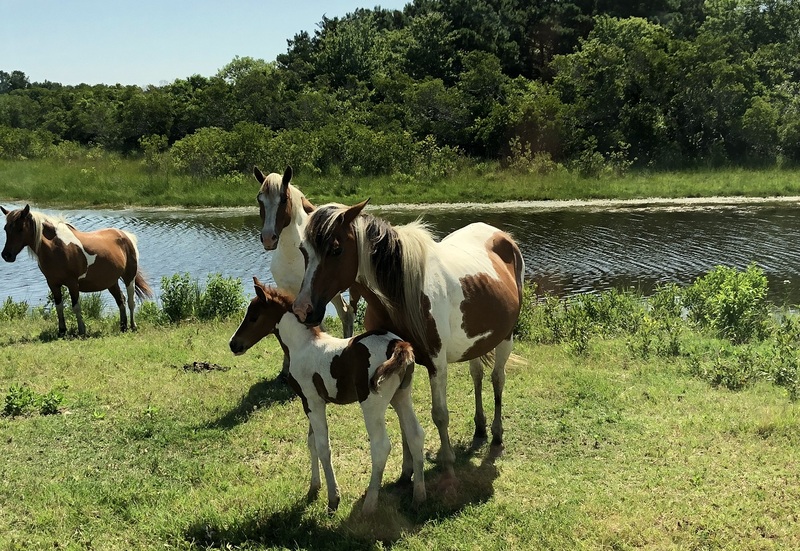 The refuge provides a habitat for dozens of coastal wildlife species, like the Delmarva Fox Squirrel, the threatened Piping Plover, and of course, the famed wild Chincoteague ponies. Reserve tickets ahead of your visit for the Refuge Trek, a 7-mile bus tour of the wildlife refuge’s service roads. During the tour, you’ll see coastal wildlife in their habitats, and if you’re lucky, even catch sight of the ponies. If you prefer traveling on your own, there are numerous trails within the refuge that are open to the public, including a short trail to the Assateague Lighthouse. Head to Pico Taqueria, another well-known food truck, for lunch. Like Island Creamery, you’ll most likely arrive to a long line, but these tacos are worth the wait. They follow the motto, “You can put anything on a taco”, trying out recipes that blend local and international flavors. 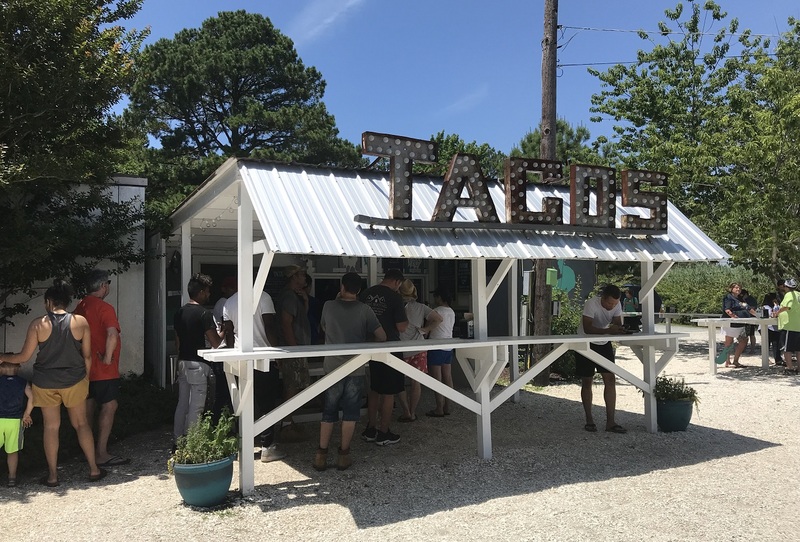 The Eastside Taco blends fried fish, fennel, and grapefruit, while the Maddox is made with cornmeal fried oysters harvested from the Bay waters, pickled carrots, daikon, and Thai basil. Add a homemade lemonade or limeade to your meal and grab a seat at the shaded tables behind the restaurant to enjoy a relaxing lunch before hitting the road for home. 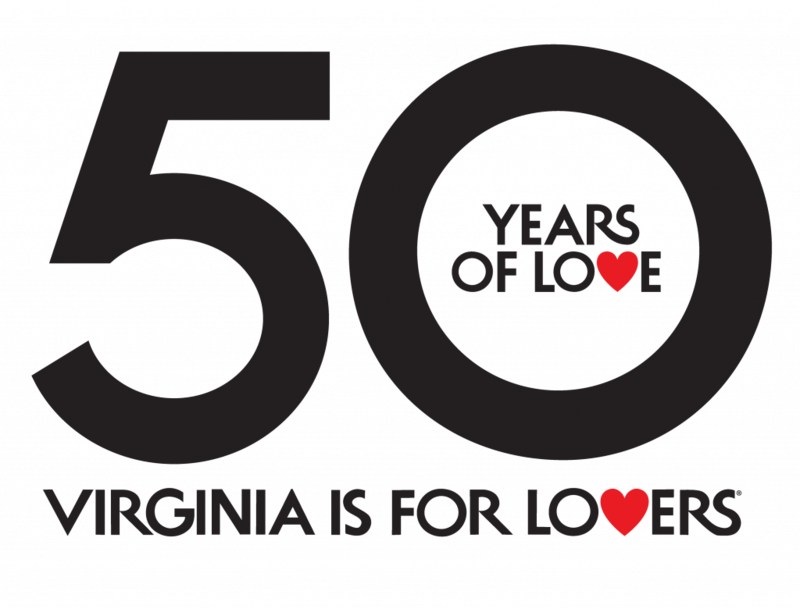 Follow the Virginia is for Lovers team next month as we “Crush Friday” in Southwest Virginia, exploring Bristol, Abingdon, and the surrounding countryside. The post Crush Friday: Your Mini-Vacation Guide to Virginia’s Eastern Shore appeared first on Virginia’s Travel Blog.